AccellaTM helps it all ``take shape`` - we improve lives with the polyurethane-based materials people rely on. At AccellaTM, we create the products, ideas, and innovative polymer solutions that help move our lives forward – and help North American and global businesses to thrive and expand. Our sustainable polyurethane technology is virtually ubiquitous in today’s modern infrastructure. It’s embedded across a spectrum of products that communities, businesses, and individual families utilize on a daily basis. Discover how AccellaTM offers more than 500 years of combined science, R&D, and manufacturing experience with the highest corporate values and state-of-the-art operations to meet the evolving needs of a broad range of customers. At AccellaTM, we recognize that the industry has many supplier avenues from which to select — and only those that deliver the highest levels of premier service will succeed. Our customer service commitment and approach offers our clients the value-added product deliverables, quality resources, and comprehensive customer support infrastructure they need (and deserve) to meet their many project needs. We are ready to help our customers rise to the occasion to manage even their toughest product development challenges by turning chemical innovation into tangible marketplace successes. AccellaTM offers tailor-made polyurethane with a degree of customization and specialization that is virtually unprecedented in our industry – delivered with the speed and scale that sets us apart from our competition. AccellaTM is both a global- and USA-based manufacturer focused on quality product and innovative solutions. We measure quality by the response of our customers who put our products to work each day for the benefit of their customers and businesses. From our core polyurethane product offerings to our advanced technology for industrial, commercial, and residential housing applications, we are innovators in polymer technologies. By turning polymers into the ideas that make our world a better place, AccellaTM has what it takes to be your polyurethane solutions provider. Accella Polyurethane SystemsTM is a well-recognized leader in polyurethane technology, experience, and innovation. 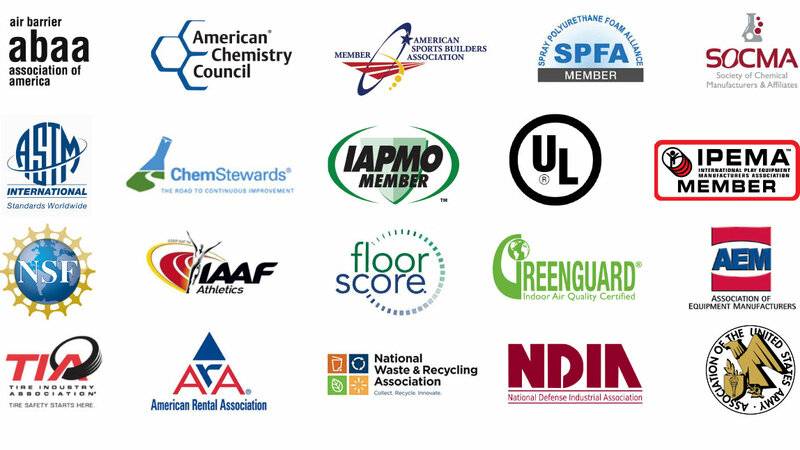 We are members of many industry associations and work to support the growth and advancement of our industry. We understand that the highest standards encourage innovation to create top quality products. Accella Polyurethane SystemsTM is affiliated with the world’s leading councils and associations, serving many industries and athletic platforms. Accella Polyurethane SystemsTM is fully committed to sustainability and green solutions as a fundamental operating principle. It’s woven throughout everything we do as a company and guides our R&D, raw materials procurement and handling, in-house manufacturing, and product applications. At AccellaTM, our product performance, profitability, and commitment to our people are completely interlinked and part of our passion for nurturing and respecting our planet. We work in tandem with our global and North American suppliers to create manufacturing facilities that are in full compliance with the highest environmental protection protocols and standards. Together, we develop end-market polyurethane solutions that reduce mankind’s environmental footprint on this world. Our spray foam improves energy efficiency up to 50% versus traditional insulation, reducing energy usage and the associated greenhouse gases from energy production.